Yesterday a photographer friend of mine, Lightburn Photography came to photograph our kitchen. I have not seen this friend for almost 15 years but through the world of facebook, reunions have become so much easier and more frequent. As it turns out, my friend now lives in Brooklyn, not far from where we used to live in Park Slope. Recently I read that she was doing a photographic series on kitchens and so I offered our kitchen as subject. I have a soft spot in my heart for our little kitchen, and feel like it deserves to be photographed for surviving all these years. It seems to me, not many kitchens can last 60 years in this day and age of changing tastes and styles. I also know that at some point this kitchen will be gone. I have mixed feelings about our planned renovations, which are going to happen sooner than later! I will be excited to have a new kitchen, but I will also be sad to see this one go…it is just so cute! The photo shoot went really well and I should be seeing the photos this week (and yes, we were in them too! )…I am imagining given my friends unique way of seeing things that there will be interesting and creative images that we will be able to hang on the wall of our new kitchen. Looking forward to sharing the photos, but in the meanwhile, you can aslo look at Lightburn Photography blog here. 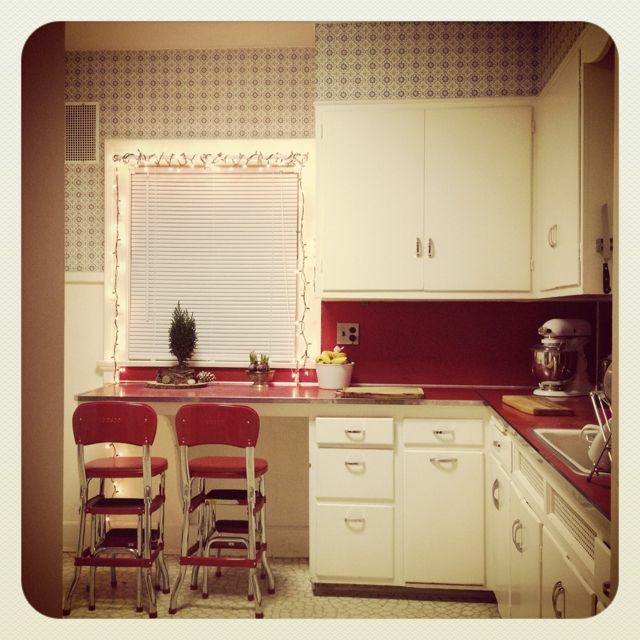 I love your old retro kitchen … although I am sure that for someone like yourself who seems to put so much joy and energy into cooking, that the kitchen probably needs some updating …. we can’t wait to see your plans and the renovations begin!! Any hints on what you have in store? ?